For decades, Charles Darwin's theory of evolution has been taught in classrooms as more than just a "theory" -- it's been taught and accepted by mainstream educators as fact. But now, new scientific evidence is emerging that places Darwin's theory under closer scrutiny than ever before. These scientific critics of Darwin claim that many famous "icons" of evolution- including Darwin's "Tree of Life", the Galapagos Island finches and embryos that look remarkably similar -- are based on outdated research and faulty logic. 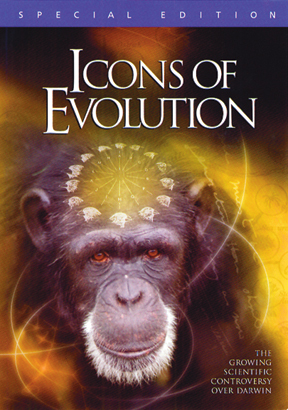 For anyone desiring to discover the evidence and weigh it independently, Icons of Evolution is essential and enlightening viewing.